Happy Tuesday everyone. I am up with another marbling card. You will see quite a few cards with this technique, as my desk is full of marbling experiment cards. I have once again used the shaving foam technique, I used distress ink spray - forest moss here to create the marble background. I used the leaves from In bloom: Addie's garden set from winnie&walter. I had stamped the leaves on water old paper in distress inks twisted citron and old paper, and then used the waterbrush to blend in the color, fussy cut to add to the card. I added a twine, and leaves hanging down from the top corner. The sentiment is from The big, The bold, and The Happy from winnie&walter. I love this card, as green is my color. Leaving you all with a few more examples of my nail marbling, I haven't done this in one year time, you bet I will be doing this in one of these days. Well, stares don't matter to me, I like to have the freedom to explore. I even went to school teaching with these nails :o, the only problem was whenever I used to move my hand around the smartboard, the girls eyes used to follow my fingernails, they got pretty interested in the nails ;) asking how I did those! Joining in with shades of green this time. 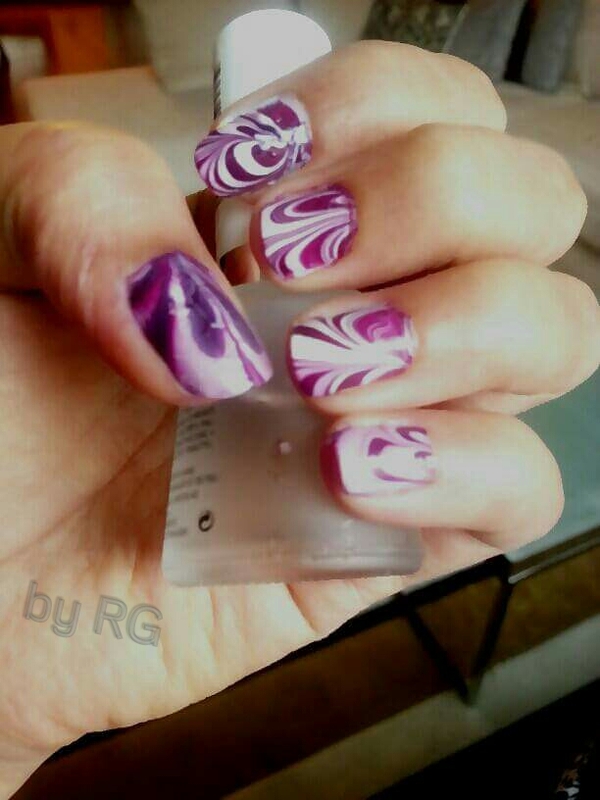 I have to say a big thank you to Taheerah for the marbling effect, I am loving to create these. Love your marbling technique here. Thanks for sharing at Less is More! 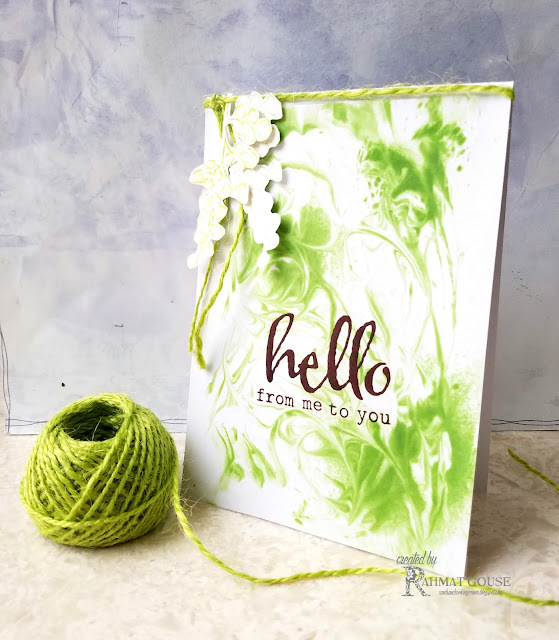 Beautiful piece..got to try this one..
Another fabulous card love that you used spray to marble who knew !!! The gorgeous green is fabulous as are those wonderful nails of yours. Lovely, Rahmat. I have never tried this technique before, but your beautiful green background makes me want to try it out. Thanks for playing along at AAA Cards. 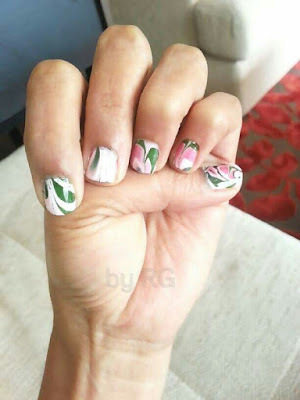 Wow, that's gorgeous - I HAVE to try this technique! I love the greens, Rahmat! Such pretty marbling! Thanks so much for sharing with us again at CAS Mix Up! This is an amazing marbling card Rahmat! Loved how you moved the colour around to get that effect. Your nails are so pretty too, I'm not surprised your students loved them! Wwow what a beautiful card! Love the green! More beautiful marbling with sprays - I have to try that. And I'm blown away by your gorgeous nails! 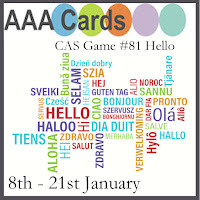 Thanks for joining us again at CAS Mix Up. Rahmat what a great look! Love that green shade and the effect is fabulous. This one feels so organic - the spray worked marvellously with the shaving foam technique! Thanks for spreading The Gossip on w&w's The Gossip Column!